Sixteen-year-old Finley Price has perfected two things: how to direct a world-class production, and how to fly way, way under the radar. The only person who ever seems to notice Finley is her best friend and godparents' son, Oliver Bertram. Since Finley moved in with her godparents after the death of her father, she and Oliver have grown close. 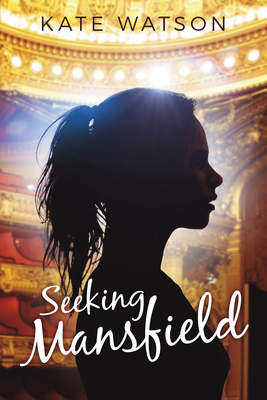 If Finley could just take Oliver's constant encouragement to heart and step out of the shadows, she'd finally chase her dream of joining the prestigious Mansfield Theater. But when teen movie stars Emma and Harlan Crawford move across the street from the Bertrams, they shake up Finley and Oliver's stable friendship. As Emma and Oliver grow closer, Finley realizes that Harlan's attention is shifting to her. She discovers she might have feelings for him too. Or, is she only interested in Harlan because Oliver is taken? Finley doesn't want to be won, and she doesn't want to see Oliver with anyone else. To claim Oliver's heart--and keep her own--she'll have to find the courage to do what she fears most: step into the spotlight.